Guidelines for visitation after a divorce should be based on what is best for the child or children involved. There are no concrete guidelines that are suitable for every single scenario, but states do have some guidelines that must be followed. Ending a marriage with divorce does not end the parental relationship between a mother, father, and child. Both parents are entitled to continue their relationships with their children despite the failure of the marriage. Exceptions to this include when one parent has demonstrated a complete disregard for the wellbeing of the child or acts of aggression against the child, although instances when one parent is completely denied access to his or her children are rare. For instances such as these, supervised visitation may be ordered by a judge if pursued by the parent. When parents are in agreement as to what the visitation guidelines should be for everyone involved, the process of setting the guidelines can be a much easier process than if the couple does not agree. Who will the child primarily reside with? If the child will split time between two homes, what will that schedule be? Which parent will have the final say for making decisions regarding the child? Who will the child be with during major holidays or breaks from school? If the parents can agree to visitation guidelines for children, the process of setting the guidelines can be a lot shorter and less complicated than if the visitation guidelines are contested by one or both parents. Uncontested visitation guidelines may also be much less emotionally taxing for everyone involved. What happens when one parent insists on a certain schedule for visitation, yet the other parent disagrees? What if both parents want primary custody of the children and are unwilling to compromise? In situations such as these, the visitation guidelines must be set by the court. This can be a long and arduous process, particularly when both parents are poised to bitterly fight each other. In instances such as these, the court will set the visitation guidelines according to what is ultimately best for the children involved. Parents will then be legally bound to follow the guidelines for visitation set by the court. It is also important to note that non-payment of child support is not grounds to deny visitation. Samples of visitation agreements can be found online, although it is in your best interest to consult with an attorney to ensure the agreement is legally binding. For example, Oklahoma offers state-specific guidelines and the state of Delaware offers a sample visitation schedule. Since each state has specific guidelines for scheduling visitation between parents that is fair and as equitable as possible, look for information online for your state. The guidelines in other states may differ from the state in which you currently reside. Parents are not the only people who petition for visitation rights with children. States also have guidelines regarding visitation for grandparents. Unless there is a profound reason why children should not spend time with their grandparents, these petitions are usually granted. 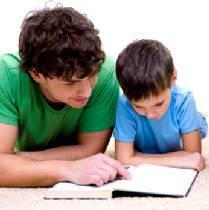 Child visitation is not set solely by the custodial parent. For example, even if a man does not get along with his ex-mother-in-law, he cannot deny visitation to the mother-in-law for grandchildren even if he has primary custody of the children. This includes scenarios when one spouse has no interest in having custody or visitation with the children, yet the ex-spouse's parent still wants visitation with the grandchildren. For more information regarding visitation guidelines specific to your case within your state, speak to an attorney.